And it’s searching for a lead design team right now! Seattle’s Office of Arts & Culture has issued a nationwide call for submissions for a lead design team for an in-the-works AIDS memorial. The project is called The AMP: AIDS Memorial Pathway, and the deadline is May 29, according to a statement from The AMP. 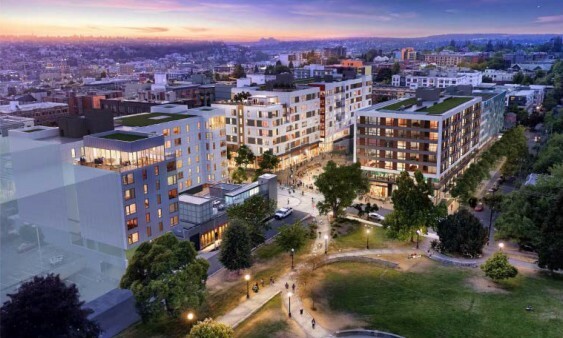 Scheduled to be completed in early 2020, The AMP will be located in the gateway to Cal Anderson Park and plaza over Seattle’s Capitol Hill light-rail station. A group of community stakeholders and volunteers began envisioning and working on the project in 2015. The site of The AMP has been secured, and the city of Seattle has supported the effort. You can learn more about The AMP project, its history and current status by reading this PDF and by visiting TheAMP.org. In related POZ articles, to learn about the New York City AIDS Memorial that opened on World AIDS Day 2016, check out “What’s Next for the NYC AIDS Memorial?” For a recent update on the AIDS Memorial Grove in San Francisco, read “Remembering Lives Lost to AIDS in the Hemophilia Community.” And for a preview of the National AIDS Monument to be built in West Hollywood Park, California, click here.